First set up in the Joux Valley, among the Swiss Jura Mountains, since 1833 the Jaeger-LeCoultre Watchmakers continues to revive its creativity and inventiveness. 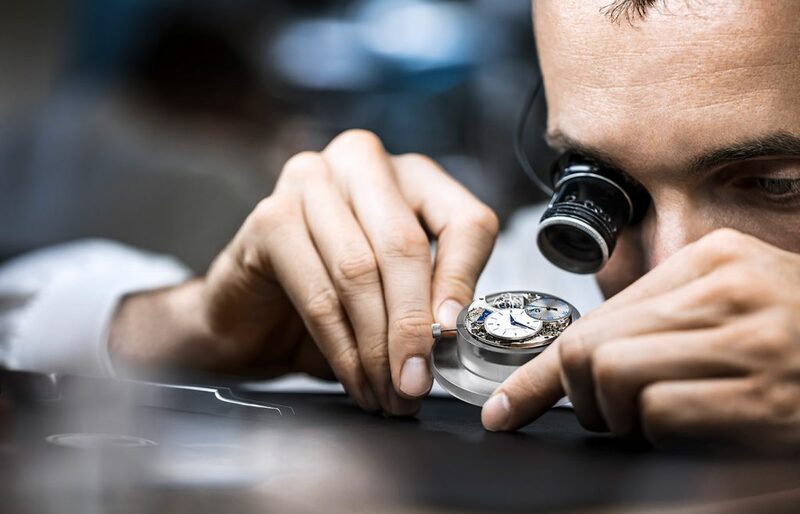 Every watch is the result of the combined efforts of watchmakers and technicians who boast one hundred and eighty different specialist skills, all focused on creating prestigious and highly reliable watches. The renown that Jaeger-LeCoultre has acquired over time is due to the skills employed in each single stage of creation: all prototypes are drawn, assembled, decorated and crimped by the Grande Maison. Jaeger-LeCoultre has unveiled collections that have gone down in history, such as Reverso, in 1931, at the time of Art Deco, the men’s watch Master, with its traditional and exquisitely refined lines, the Atmos pendulum, the clock that has come the closest to being labelled a perpetual mechanism. The Jaeger-LeCoultre designers manipulate the language of form within the Manufacturing process with a keen eye for current taste, and another on the future, without betraying the House’s long tradition. This blending of the ages, this alchemical combination of past, present and future is what stands out in the design of a Jaeger-LeCoultre watch. The Reverso collection was invented to meet a challenge: designing a model of watch capable of withstanding mallet blows during polo matches between British Army officers in India. 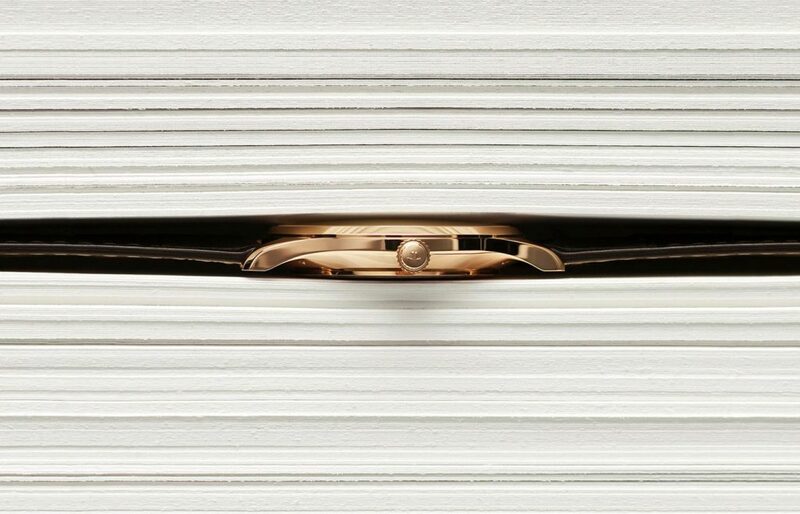 The dial is concealed by reversing the case, to reveal the back of the watch, which protects the dial from any damage. The elegant rectangular lines and the pure reeding of the case were inspired by Art Deco designs. The Jaeger-LeCoultre Master collection eliminates all accessories and focuses on the essential. The Master Collection is available in three ranges: Master Grand Tradition, Master Ultra Thin and Master Control. Although all the watches have unique characteristics and complications, they all features rounded shapes and great detail refinement. The collection takes its inspiration, both in character and spirit, from an iconic model of the Grande Maison, the Memovox Polaris of 1968. 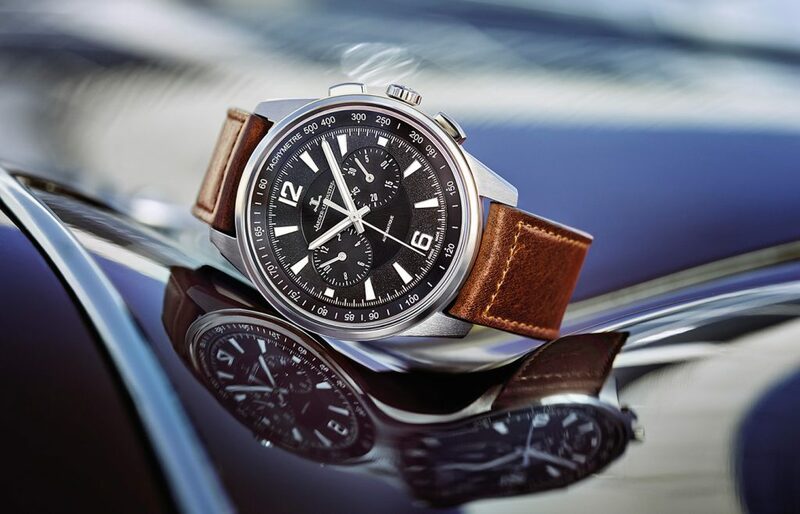 The Jaeger-LeCoultre Polaris collection time pieces, with their sporting and elegant character, are designed to accompany the urban explorer at all times. 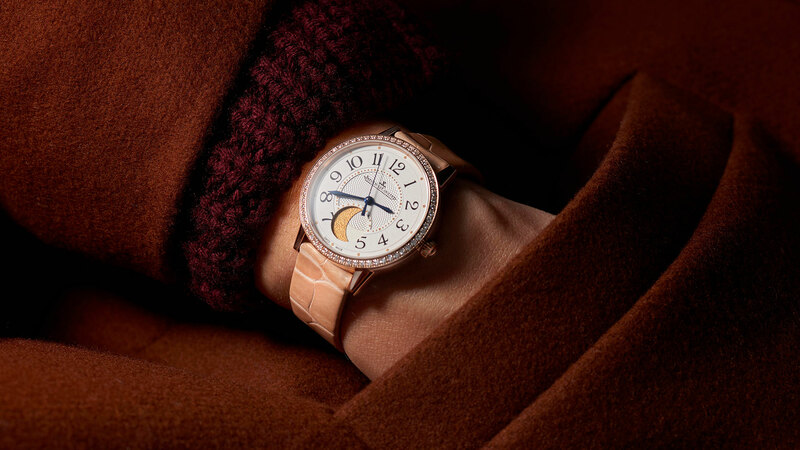 Women were the first to wear wristwatches and Jaeger-LeCoultre, a brand that has always been cutting edge, designed elegant watches, completely studded with diamonds and exceptionally small calibers that were perfectly suited for a woman’s wrist. The Rendez-Vous collection pays homage to this tradition and embodies a yearning to elevate the modern woman. The watches in this collection don’t stand out right away; they seek discerning glances to reveal the precious treasures they conceal: the automatic movement with the sapphire background which reveals the complexity of the mechanism. Delicate and precious details that make this collection a perfect marriage of aesthetics and mechanics. The Geophysics watches owe their name to a chronograph made in 1958 to celebrate the International Year of Geophysics. The complexity of the precision crafted calibers is hidden behind apparently simple functions. Most of them are equipped with True Second. With this device, the result of a highly sophisticated assembly process, the second hand moves in one second steps each time, something that is rarely achieved by a mechanical movement, without ever interrupting the watches’ operation. These watches are also equipped with Gyrolab, a unique balance wheel with a non-circular configuration that reduces air friction. A major step forward for precision watchmaking. Born out of the dream to push the boundaries of watchmaking to the limit, the Dual-Wing concept is doubly revolutionary. Two independent mechanisms, connected by a single regulation mechanism, ensure that Duometre watches have an unparalleled level of performance, quality and precision. The first mechanism guarantees the correct operation of the complications, while the second guarantees the accuracy of time measurements. The combination of the two parts forms the Dual-Wing movement, which has earned the Duometre Collection a special place in the world of highly complex watches. Great care is taken over the smallest detail in the manufacture of these watches. The decoration of each single piece requires great technical skill and infinite patience. A whole range of high precision techniques are used to decorate each watches’ movement by hand. For example, the “Côtes soleillées” are a patented technique that reproduces the rays of the sun on metal. The exceptional care taken over the finishing elements ensures that all elements of Duometre watches work in harmony. A clock has an internal mechanism that is made up of many cogs that are constantly moving and coming into contact. That’s why Jaeger-LeCoultre suggests that every watch should be checked every 4-5 years, partly to guarantee the reliability of the watch and the conditions in which it has been used. In this way one can assess the need for a thorough servicing to clean the mechanism of any lubricant oils, which over the years are naturally bound to lose their effectiveness, ensure that the case is still watertight and that the watch is in top working condition. For battery change operations, Jaeger-LeCoultre recommends contacting an authorised Servicing Centre that will have the equipment and the tools required to carry out the operation and is certified to operate according to professional standards.For all watches, but in especially those that come into contact with water, Jaeger-LeCoultre recommends checking that the case is still watertight every year. One can ask for a free wet test to confirm water tightness from the Hausmann & Co. Servicing Centre. Jaeger-LeCoultre, the watchmaking "Grande Maison". Literally, "the "big house"